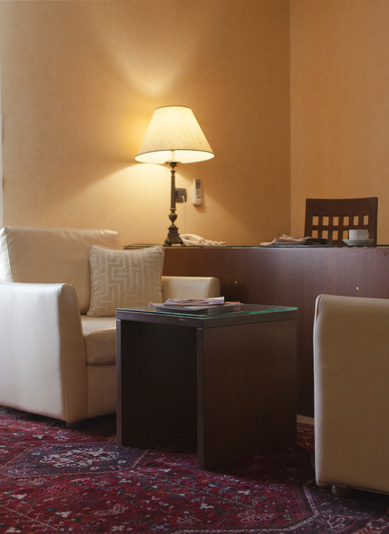 Our most preferred accommodation and renovated in 2008, this guest room can accommodate up to 4 persons. It's a large room that has 2 levels, bedroom and bathroom in the upper floor and a spacious living room downstairs with a bathroom. A bar and a useful desk will serve multiple purposes whether you're on a business trip, leisure one or with your family. This room is equipped with a bathtub and a balcony. It is air-conditioned and has a flat-screen TV with international TV channels, cozy king size bed and spacious wardrobe.